Communication Legal Translation Establishment is tremendously proud of providing Linguistic services in Saudi Arabia for faithful, exact and effectual linguistic, Grammar, Style and Spelling checks of an enormous range of official, legal, promotional, academic, medical, personal, humanitarian, financial, and industrial statements, documents, plans, reports, etc. in the Arabic and English Languages to our clients of renowned profile. 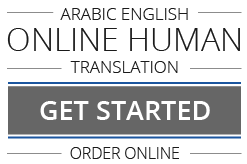 A practice of nearly two decades has enabled our highly industrious professionals to ornament our Arabic and English Linguistic services in Riyadh, Jeddah, Mecca, Medina and Ahsa with the striking professionalism that we have always cherished.